Dylan is a Freshman at a RSCC. 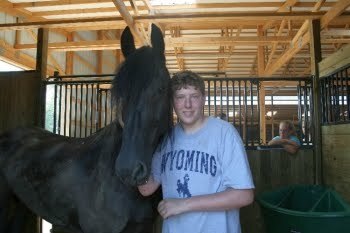 He has been riding for several years and enjoys riding his Friesian mare Winanda and our paint gelding Charlie. Dylan plays the bass in a band, Rock's Last Stand. 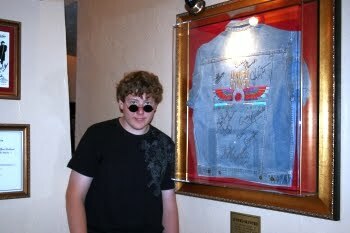 In addition to the bass Dylan plays the electric guitar and drums and enjoys computer games andClassic Rock & Roll, especially The Beatles!